Not too late to sign up for this. 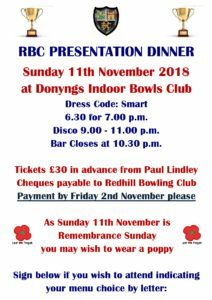 If you have signed up and have still to pay please do this by 2nd November so we can confirm the numbers to the caterers. Contact is Paul Lindley or John Davison.